Simple and effective. Flooded areas are drained to a close to dry state. Suction mats remove fluids within reach of the mats nearly completely. Flow channels in the bottom side improve the suction effect and take even small amounts of liquid. Being flexible and robust the mats work on slightly uneven ground as well. Unlike submersible pumps and water vacuum cleaners the flat suction system is capable of completely pumping out the fluid and is applicable for large areas. Depending on the dimensions of the flooded area even several mats can be connected in parallel to one pump. 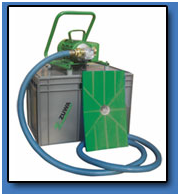 The Flat Suction System is provided with a heavy- duty ZUWA Pump. The pump is suitable for slurping action and tolerates a short dry run. The flexible impeller wheel is capable of transporting soil and solid particles within the fluid. 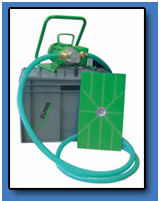 Oil Suction Kit with oil resistant hose. (suction-, delivery hose and extension). Special GEKA screw fitting for the suction line ensures hermetic sealing. Dry run protection: sensor interrupts power supply when overheating. Restart with reset button after eliminating the fault. ASPIRA – submersible flat suction pump made of stainless steel. The perfect addition to the flat suction kit. or slightly corrosive fluids. NIROSTAR (2000-A, B, 2001-A, B)A high quality stainless steel pump with numerous applications in industrial plants and production facilities, the appropriate choice for transferring corrosive fluids. Dry self priming: The suction depth is max. 7 meters. 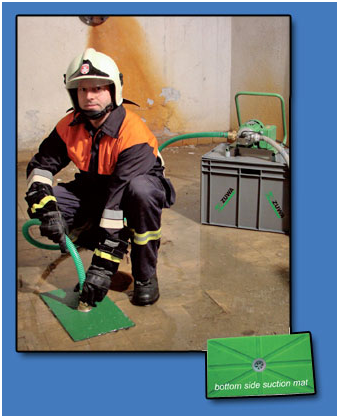 High capacity: Flow rate between 3 litres up to 730 litres per minute. Reliable: Top quality materials guarantee for a long durability. Versatile: Useful for many different fluids and applications. Gentle: Fluids are transferred absolutely free of pulsation. Easy maintaining: quickly and easily disassemble the pump. Low operation costs! 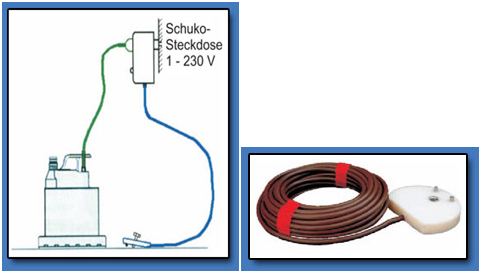 Sturdy: pumping fluids with even highly viscous liquids such (up to 20 000 mPAS), as well as liquids containing solids. Media temperature max. 90°C.